Rahat resident driving without permit hits pedestrian, flees instead of stopping, abandons his car and reports it stolen to police. The Southern District Attorney's Office filed an indictment against Maher Naif Abu Siam from Rahat, who injured a pedestrian two weeks ago. Abu Siam was at the time of the accident driving without a valid permit, and the indictment says he fled the scene without helping. The indictment attributes to Abu Siam the offenses of abandonment after injury, disrupting legal proceedings, and driving without a valid driver's license or insurance policy. The indictment says Abu Siam drove his car in the city of Rahat two weeks ago, although his driver's license expired in July 2016, and has not been renewed since. While driving, Abu Siam hit with the front of his vehicle 19-year-old female pedestrian who was crossing the road in his lane and descended the separation barrier into his lane. 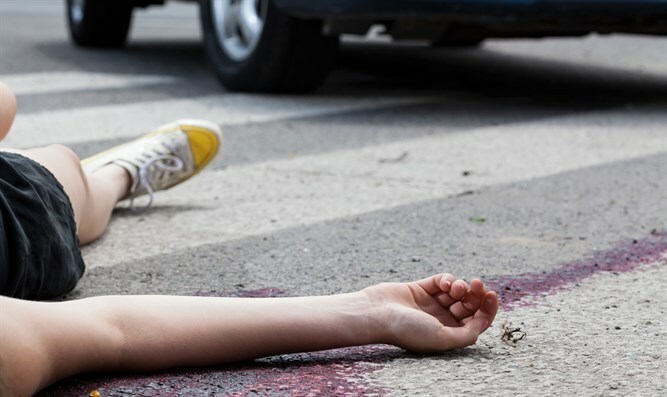 As a result of the accident, the young woman was knocked onto the road and remained lying there until she was rushed by an Intensive Care Unit ambulance to Soroka Hospital. The indictment indicates that Abu Siam did not stop his vehicle to find out what the accident caused and did not call for help. He fled with his car, continuing his journey until he reached the desert area near Tel Sheva, where he abandoned the vehicle. About an hour later Abu Siam called the police's 100 emergency number and gave the dispatcher a false message that the vehicle had been stolen from him while left in the parking lot of the Tapuz gas station in Rahat to prevent being identified as the one driving the vehicle at the time of the accident. The State Attorney's Office submitted a request to the court to extend Abu Siam's remand until the end of legal proceedings against him.